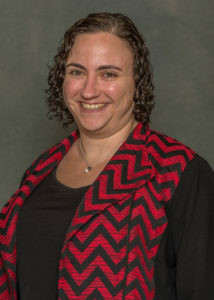 Juliet Hess is assistant professor of music education at Michigan State University’s College of Music, where she teaches secondary general methods in music education, principles in music education, and philosophy and sociology of music education. She previously held a dual appointment at Syracuse University in the Setnor School of Music and the School of Education. She previously taught elementary and middle school vocal, instrumental, and world music at a public school in the Greater Toronto Area. Juliet received her Ph.D. in Sociology of Education from the department of Sociology and Equity Studies in Education at the Ontario Institute for Studies in Education at the University of Toronto. She received her master’s and bachelor’s degree in music education from the University of Toronto. Her research interests include anti-oppression education, activism in music and music education, music education for social justice, and the question of ethics in world music study. MayDay Group Action Ideal #1 challenges us, as music educators, to consider musics in cultural context or—in other words—on their own terms. Engaging in musics on their own terms involves embracing epistemological diversity; different epistemological frameworks accompany different musics and treating musics ethnocentrically is both an injustice and effectively an epistemological colonization. The MDG 28 call for papers asks us to consider a philosophical or curricular framework that supports culturally-mindful music teaching and learning. In considering how to engage musics and their accompanying sociohistorical and sociopolitical contexts on their own terms, I put forward Bakhtin’s work on dialogism in conjunction with Ahmed’s conceptualization of the encounter and Boler’s “pedagogy of discomfort” as a pedagogical framework for fostering critical and mindful participant engagement in music education. Coupled with the notion of dialogism and the encounter, I suggest the embrace of Boler’s (1999) “pedagogy of discomfort” as a way forward for a contextualized music education. Encountering others’ beliefs, epistemologies, and worldviews can be “uncomfortable.” However, studying multiple musics creates the possibility for such encounters. When we engage diverse musics on their own terms and draw on their epistemological frameworks, a “pedagogy of discomfort” creates possibilities for music education that may interrupt dominant power structures and ideologies. Embracing discomfort, music teachers could instead engage dissident voices and counternarratives. Within the context of music education, I then advocate for the reconceptualization of “safe space” (where one encounters only the familiar) as “uncomfortable” space (where one encounters worldviews and frameworks that challenge one’s beliefs). Such spaces would privilege marginalized voices above those who are dominant. The privileging of marginalized voices and musics in music education might allow us to encounter a different story—a story in which we live in the “discomfortable” (Boler, 1999) in order to unsettle traditional and historical frameworks for viewing diverse musics and construct a more ethical music education.